Incredibly intelligent, asked good questions, knew his material, brought out things I have never heard of with prior ENT's.He has solutions that work. This is a partnership in treatment. Thank you Dr Kass! Incredibly intelligent, asked good questions, knew his material, brought out things I have never heard of with prior ENT's. He has solutions that work. This is a partnership in treatment.Thank you Dr Kass! ***FREE STREET PARKING WEEKDAYS AFTER 5PM AND ALL DAY ON SATURDAYS - PUBLIC PARKING 1/2 BLOCK AWAY AT 4935 ST ELMO STREET [GARAGE #40] - DROP-OFF PARKING IS ALSO AVAILABLE ACROSS THE STREET IN BACK DRIVEWAY AT 8000 OLD GEORGETOWN RD [WHITE RAMBLER AT CORNER OF GLENBROOK AND OLD GEORGETOWN RD]*** Dr. Erik Kass is a member of the American Board of Otolaryngology.Dr. Erik Kass is committed to excellence in the service of his patients through a careful, thorough, and considerate approach to the identification and management of their Ear Nose and Throat health problems. Very good doctor, would recommend. I had similar symptoms last year, and an ENT could not pinpont what caused it. Dr. Kass listened patiently to my detailed descriptions, ran some tests, and then explained everything. He dispelled the tentative diagnoses given by the other ENT.There are some follow up that I need to do, and I am looking forward to get better. What other reviewers here wrote are spot on: brilliant doctor and reassuring. I am not going anywhere else for an ENT. Thorough. Compassionate. Worth the short wait to be seen. Dr. Kass is highly compassionate, analytical and all around wonderful doctor. I'd recommend him to my most cherished loved ones. Had a great consult. However, since then I have been unable to contact the office to make another appointment. There are no upcoming appointments available through zocdoc; I have called the number listed but it goes straight to voicemail withno option to leave a message as box is full; I have emailed and gotten an out of office message without any details for when he will return. This has been the case for a month. I’m very curious as to where in the world is Dr. Kass. Dr. Kass spent a lot of time discussing various treatment options, as well as the science of the conditions I am dealing with. Every appointment gets better! He was good and very informative. While I did not get an immediate cure for my ailment, he advised me on what he thought was creating the problem and to that end, made recommendations. I especially enjoyed watching on video theprobe of the ear, nose and throat. He did a very small and quick procedure that I could see him do on video as he did it. Fascinating! The appointment was actually quite interesting. He certainly knows what he is doing and I was grateful that he could see me after normal work hours. He ran the office by himself while I was there(and does it pretty well) but still does not rush the patient. This probably contributes to his lateness but I did feel that once I got in for my appointment, he was totally committed to my care. Dr. Kass was extremely thorough, informative, and addressed all of my concerns, plus more. He is kind and empathetic. 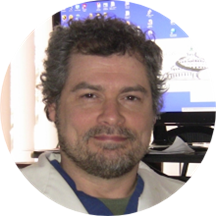 Dr Kass has excellent medical skills, does a comprehensive ENT examination, and takes time to explain the physical findings of the clinical exam. I was fully satisfied with the office visit. Great experience with a very thorough explanation of procedure and pleasant bedside manner! It was great. Definitively my favorite of all my doctors. Highly skilled, informative, thorough, reassuring and has a great sense of humor. Dr. Kass is very thorough, patient, and informative. very knowledgeable. This appoint was for my 92 year old Mom who I took there. As always he took care of her issues especially her one ear that has a hole in the drum from when she was little. Dr. Kass is very thorough, answers every question, and examines a wide range of life habits when making his diagnosis. My turbinate reduction procedure could not have been more smoothly or delicately executed - it truly has improved both myquality of sleep and life. He's a tough one to get on the phone but always responds quickly to email. One of the best and most talented doctors I've met. Highly recommended. Friendly and professional. Doctor Kass is an exceptional doctor, his knowledge of the ears nose and throat and how they influence each other and the body is unparalleled. If you have a pain or a problem and you don't know where it's coming from go to Dr Kass. Very professional and knowledgeable, I would definitely recommend him to my friends and family members. Dr. Kass is very friendly and makes you feel comfortable being there. He takes great care to be through and I didn't feel pressured to do anything I wasn't ready to do. He offered information about options and I am goingto explore them. I liked the convenience of free parking across the street and not having to deal with a lot of people in the waiting room since he has a stand alone practice. Highly knowledgable, truly professional and highly efficient. Given what is, unfortunately, now a typical doctor's visit; this was both fast and thorough. Highly recommend. Dr. Kass is knowledgable and very helpful! Great Doc. Go see him if you have ENT or sleep issues. I absolute adore dr Kass. I live in Florida and hopped on the plane to come see him for a day trip. He's that exceptional . He took out my tonsils as a child and I just don't think there is an ENT that can compare. Dr. Kass is always wonderful to deal with. He has helped me grapple with many challenging problems with my hearing and is always available and accessible when I need help. Dr. Kass is very professional and thorough in his examination. His management is perfect. He is one of the best doctors we have seen. Having seen 5 ENTs already who did not have the thoroughness Dr. kass had. rarely give reviews but he took his time to check everything without us having to ask. Heis also honest with his diagnosis and recommendation. I would definitely recommend him. It very good doctor, also very detailed with the process. Thank u!!! A+ ! So glad I finally got this procedure done. Dr.Kass is so reassuring, and takes great care to insure that you won't be in pain. (Even post-procedure, my nose still doesn't hurt, and it's been 24 hours! Astounding! He gavevery clear pre and post it instructions that are easy to follow. And he's always available should you have any questions or concerns. Dr. Kass is awesome. He runs the whole office by himself and everything runs smoothly. As soon as I got there I filled out my paperwork and was quickly taken back to office. Dr. Kass is extremely friendly and knowledgeable and answered all my questions.